Emergency situations which involve the tires of your car would be much more manageable if you had one of the best tire jacks. A tire jack is a useful tool you need for changing damaged tires, flat tires, and more. There are different models available on the market, and the key is to find the best one to suit your own needs. How do tire jacks work? A tire jack is a means for you to lift a part or your whole car so that you can change your tires or perform repairs underneath. There are different types of tire jacks available, and they’re meant for different purposes. Most car owners own either a scissor jack or a floor jack as these are the most versatile. Tire jacks are crucial tools in your car maintenance kit. This is especially true if you own an auto shop or you have mechanical skills, and you prefer doing the minor car repairs yourself. The best car jacks provide superior performance while remaining user-friendly. These tools work by lifting your vehicle or a part of your vehicle as needed. 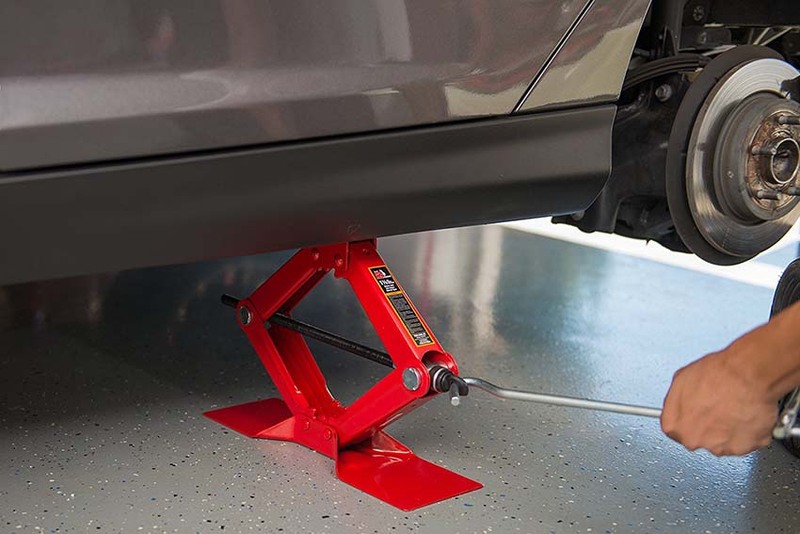 When you’re done with the repairs or tire change, use the tire jack to lower your vehicle back down safely. You can use some types of jacks for other applications such as cargo, farming, industrial, and more. Let’s explore What should you look out for in a tire jack. This is one of the most important factors to look out for when looking for the best tire jack. You don’t want to change the tires of your car only to find out that the jack can’t lift and hold the car until you’re done with the task. Consider the type of vehicle you have and choose a unit which you can use whenever you need it lifted. This is the next feature to look out for, especially if you have very basic mechanical repair skills. The good news is that there are plenty of products out there which are simple to use but perform well. Some tire jacks are only compatible with specific types of vehicles. If you own one car, then you should choose a tire jack that’s compatible with it. But if you’re an auto shop owner or you use different types of vehicles, then it’s better to opt for a versatile tire jack which has good compatibility with different car models. 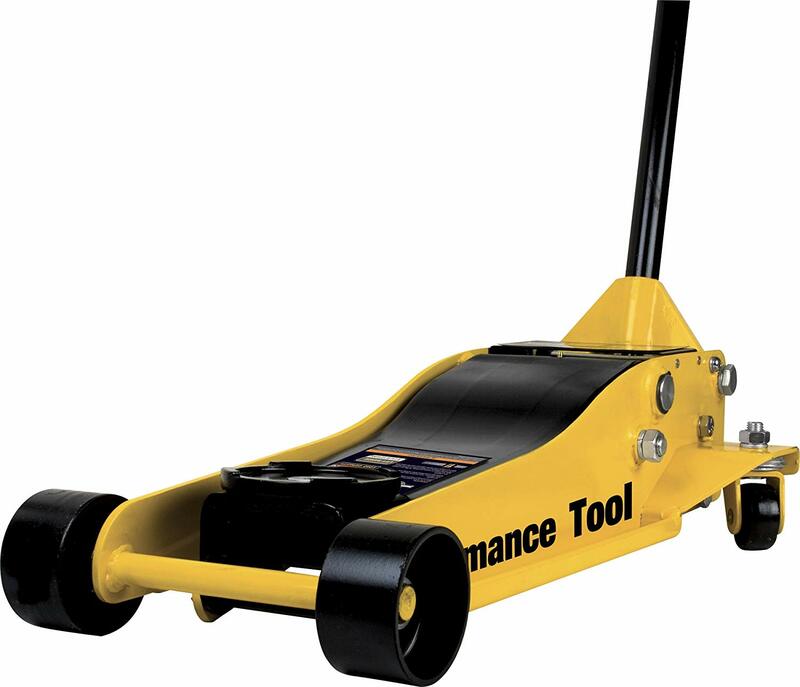 Manufacturers produce tire jacks using a wide range of materials. So far, the most durable among these materials are steel or aluminum. Jacks made of steel are more durable and may last longer than those made of aluminum. But if you need a tire jack that’s lighter but still sturdy, then an aluminum jack would be a better choice. For the design, low-profile tire jacks have a better versatility than the standard types. This is especially true if you own a vehicle with a low clearance. Think about this too as you’re looking at the various models. You also have a choice of manual or electric tire jacks. You can use manual tire jacks in any situations, but usually, electric ones are more user-friendly. If you choose such a unit, make sure that you can plug it into your vehicle’s power outlet so you can use it even in emergency situations. Why we like it: The design of this hydraulic bottle jack makes it suitable for both commercial and residential use. It has a wide base with a rugged construction which adds to the tool’s strength and stability. The Torin Big Red Hydraulic Bottle Jack comes with a screw-top extension that’s adjustable making it more versatile. It’s made of drop-forged alloyed steel for durability and longevity. 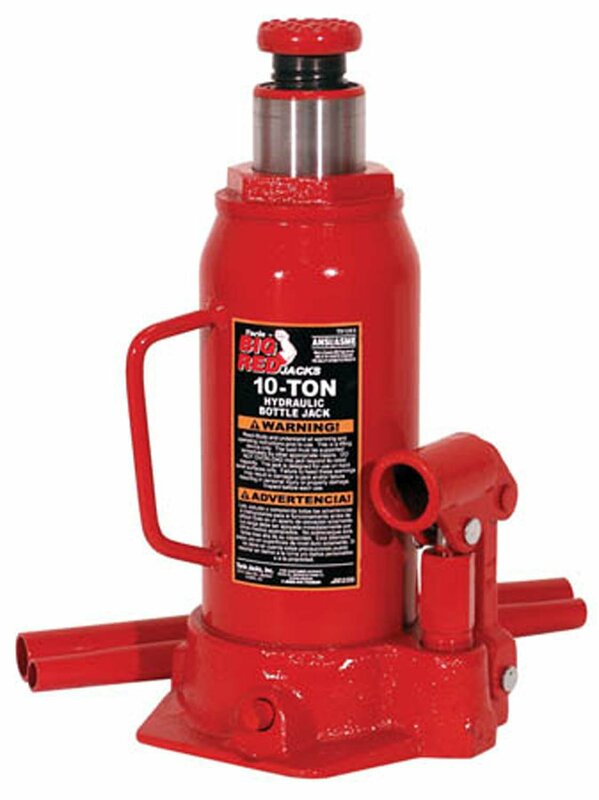 The Torin Big Red Hydraulic Bottle Jack has a unique design which makes it ideal for home and commercial applications. It’s industrially engineered and welded using high-quality materials to ensure its durability. The structure and alloyed steel construction of this tool keep it leak-free and provide an overall build that’s much stronger. This is a heavy-duty model which can handle large loads with ease. The Torin tire jack has a lifting range of up to 17.32-inches and a lifting capacity of up to 10-tons. It has a pressure pump with a glide-action feature allowing it to lift with minimal effort and muscle. It also has a built-in overload and oil-bypass valve to keep its hydraulic system protected. The Torin Big Red Hydraulic Bottle Jack is one of the best tire jacks on the market now because of all its features, and its superior durability. It’s a solid tool that’s easy to use and has a well-made construction. It has excellent lift range and lift capacity. You can even rely on it to lift a vehicle as big as an RV! But the compact design allows you to bring it along with you wherever you go. This high-quality tire jack also boasts versatility without experiencing any issues. You can use this tool for trucks, pickups, and even for company repairs. 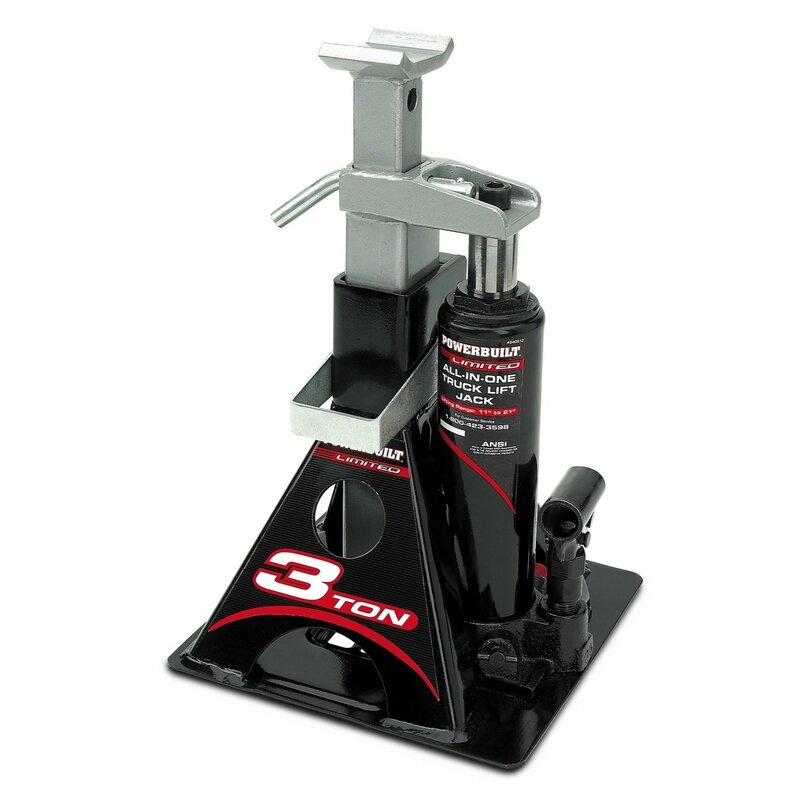 This makes the Torin Big Red Hydraulic Bottle Jack perfect for auto shops. Aside from its ability to lift heavy loads, it’s also intuitive when it comes to uneven pathways. Has a lifting range up to 17.32-inches and a lifting capacity of 10-tons. Its constructed out of alloyed steel that’s drop forged for durability and longevity. It’s a corrosion-resistant tire jack which runs on high-quality oil. Comes with a 1-year warranty from the manufacturer. Some issues with the pressure release system. Why we like it: This Hi-Lift Jack HL484 48″ Hi-Lift Black Cast and Steel Jack has a superior construction and is of a mix of steel and cast components. It has a powder-coated finish, and its hardware is zinc-plated. The tire jack also has a winch connector clamp on the top and a two-piece socket and handle. 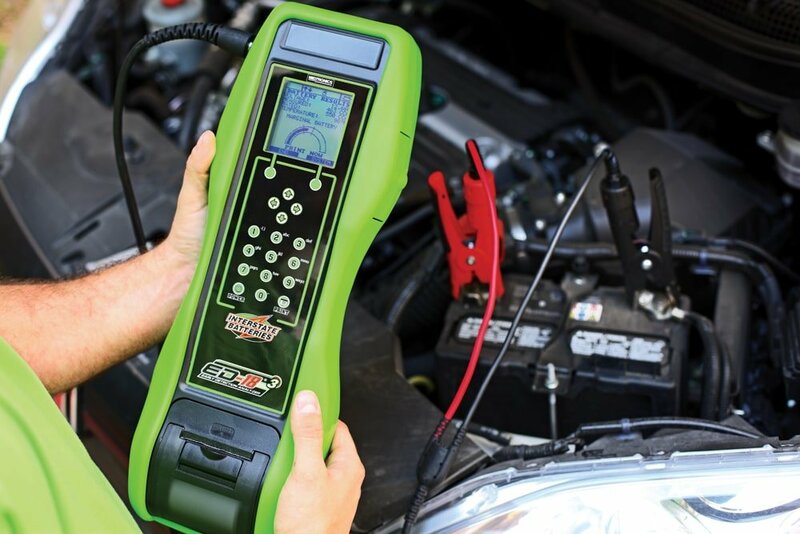 It’s a reliable and durable tool for anyone who owns a car. The construction of this tire jack makes it one of the best. It has a combination of cast components and sturdy steel components. It has the same weight capacity and performance characteristics as other models, but it comes at a cheaper price. The Hi-Lift Jack HL484 48″ Hi-Lift Black Cast and Steel Jack has a rugged, versatile design which makes it suitable for lifting, winching, clamping, pushing, and pulling. It’s a lightweight tool that’s portable and allows for easy maneuverability. The design of this tool makes it perfect for various applications, even the most demanding ones. The Hi-Lift even comes with a complete range of accessories which are specially designed which, when purchased separately, makes the tool even more versatile. This tool is perfect for heavy-duty applications as it delivers superior power. It’s a unique type of tire jack that’s meant for vehicles with a high clearance such as farm equipment or off-road vehicles. It has a lift height of up to 48-inches and a weight capacity of up to 3.5-tons. These capacities, and its durable construction make the Hi-Lift Jack HL484 48″ Hi-Lift Black Cast and Steel Jack one heavy-duty tool. Even though the Hi-Lift Jack HL484 48″ Hi-Lift Black Cast and Steel Jack isn’t as compact as other models, it’s narrow enough to store in your truck or car. It’s a lightweight model that comes with a wide array of available accessories which you can purchase separately as needed to add stability to the tool, especially when you’re on uneven terrain. The hardware is zinc-plated and has a powder-coated finish. The unit’s two-piece handle is both reliable and durable. Includes information stickers and operating instructions for safer use. Comes with a shear bolt that prevents you from using the unit beyond its capacity. The foot might fail after some usage. Why we like it: Although this tire jack only weighs about 50 pounds, it has an impressive carrying capacity of 3-tons. The Arcan ALJ3T Aluminum Floor Jack has a lift arm that’s reinforced for improved strength, durability, and control of the chassis torsion. It also has a piston dust shield which prevents the contamination of the hydraulics. The Arcan ALJ3T Aluminum Floor Jack is of high-grade, professional-quality aluminum. It has a minimum lift height of 3 3/4-inches to allow easier access even while you use it under vehicles with low profiles. It has swivel caster wheels at the rear which are ball bearing-mounted. The tool also has wheels on the front with wide tracks for better stability and maneuverability even under load. The saddle pad protects the components, and the frame of the vehicle. This low-profile tire jack is one of the best on the market because of the superior performance it provides. It’s a powerhouse tool which can safely lift heavy loads up to 18 1/4-inches. The pistons of the tool have special dust shields which prevent contamination and maintain the smooth operation of the pump. The Arcan ALJ3T Aluminum Floor Jack also comes with long handles with two pieces which offer the leverage needed for the job. 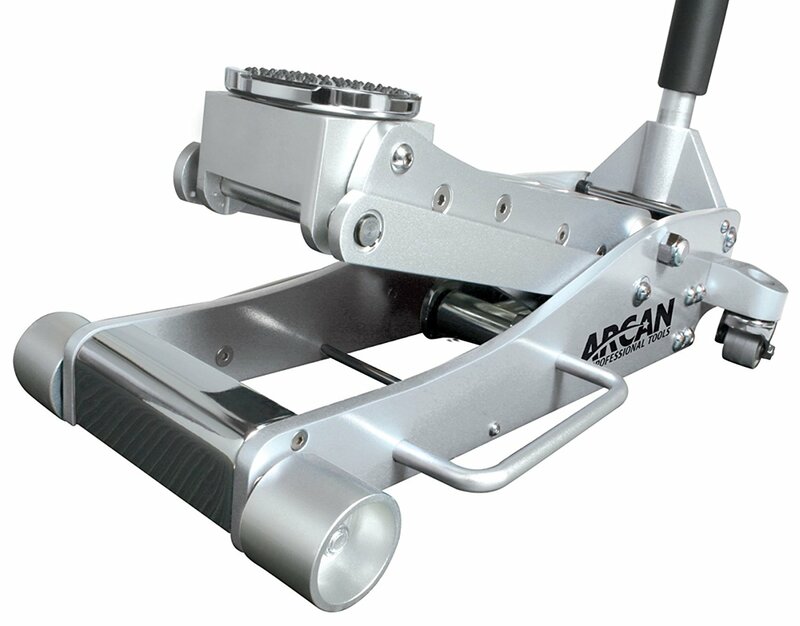 If you’re looking for a tough tool that performs well, look no further than the Arcan ALJ3T Aluminum Floor Jack. It has a lift arm with reinforcements and side plates which are very thick. The tool has a superior construction which provides added durability and strength. It even features overload and bypass valves which prevent the over-extension of the tool’s hydraulic ram. Although highly durable this is a lightweight tool making it easier to handle. It’s made of sturdy but lightweight aluminum material. The Arcan ALJ3T even comes with special front and rear wheels for smooth rolling and superior stability. So you can position the tool easily wherever you need it to be. The lift arm comes reinforced for enhanced strength, durability, and control of the chassis torsion. The dual-pump pistons allow for quicker rising action. It has a piston dust which acts as a shield to prevent the contamination of the hydraulics. The overload and bypass valves prevent the hydraulic ram’s over-extension. Customers have complained about the product’s customer service. Why we like it: The LiftMaster Hydraulic Trolley Floor Jack features a saddle that swivels 360-degrees for solid contact with the load. It’s a durable and lightweight tool which allows for easy maneuverability and quick positioning. It has a heavy-duty frame made of steel and a finish that’s resistant to rust both of which improve the tool’s longevity. The LiftMaster Hydraulic Trolley Floor Jack is one of the best tire jacks on the market now because of its amazing features. It’s a lightweight tool, but it can handle various tire jacking applications thanks to its 360-degree swivel saddle. Because it’s fairly lightweight, you can easily control it while lifting your car as high as you need to. It even comes with enough pressure for your needs. The swivel saddle is one of the best features as it makes the tool more durable than other models. You can also use it for brake jobs aside from lifting. It has a solid load contact, and it’s user-friendly too. Although it has a compact size, it feels as durable and dependable as other models which come at a higher price. The LiftMaster Hydraulic Trolley Floor Jack boasts a superior construction. It’s highly effective, but it’s easy to carry around and store in your care. It has a good carrying capacity and maneuverability making it an excellent choice for beginners and for those who have used different tire jacks in the past. As soon as you start using this tool, you’ll discover how easy it is to operate. It lifts your car and lowers it as needed without requiring a lot of effort from you. It’s a heavy-duty tool that comes with a rust-resistant finish which means that you can keep on using it for years to come. 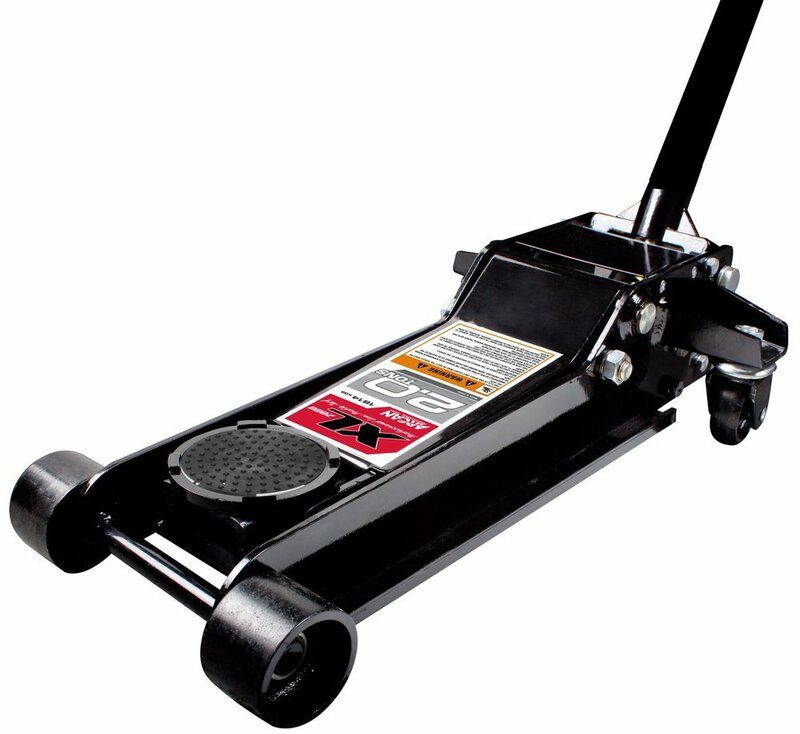 The LiftMaster Hydraulic Trolley Floor Jack has a sturdy frame made of steel which allows it to work flawlessly. The saddle swivels 360-degrees for a load contact that’s solid. It’s a lightweight tire jack for easier maneuverability and positioning. The heavy-gauge frame is of steel which makes the unit stronger. The finish is rust-resistant to improve its durability and longevity. Some of the metal parts aren’t very durable. Why we like it: This unique tire jack features a compact design with the versatility of a full-sized model. The Sunex XL20 Black Service Jack has a dual pump which allows for faster lifting. Its handle has a bumper pad as a safety feature. The tire jack even has a joint release mechanism that’s universal to provide you with more accurate control. The Sunex XL20 Black Service Jack has a sleek black design. 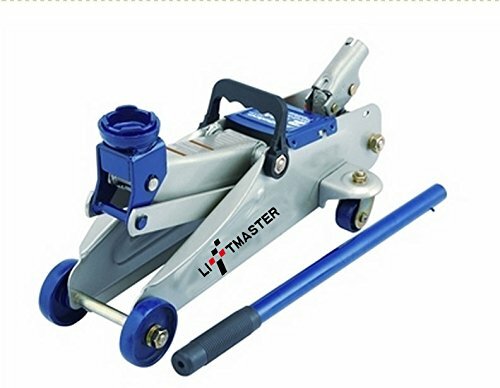 The low-profile tire jack is of high-quality materials making it durable and long lasting. Because of this, it’s ideal for different applications for weekend warriors or for professionals. Since this tire jack has a low-profile design, it allows you to get under different types of vehicles after lifting. Despite its superior performance, it’s more affordable compared to other models with the same features. This tool also passes the 2009 ASME PALD standard which is the top safety regulation of the industry in terms of lifting equipment. Unfortunately, not all tire jack models have compatibility with different types of vehicles. If you own an SUV or a truck, looking for the right tire jack is easier. But if you own a vehicle with low ground clearance, then the Sunex XL20 Black Service Jack would be the perfect tool for you. The manufacturers designed it with low clearance car models in mind. The sleek and compact design of this tire jack doesn’t mean that the manufacturers sacrificed the quality to make it smaller than standard-sized models. It’s made of premium materials making it highly durable. The Sunex XL20 Black Service Jack is strong, sturdy, and has an excellent lifting capacity for various tasks. Has a dual pump which allows for rapid lifting. The universal mechanism for the tire jack’s joint release allows for accurate control. Comes with a safety valve that prevents the unit from overloading. It’s made with high-quality construction and heavy-duty steel. It might start leaking oil after some time. Why we like it: The Alltrade 640912 Black 3 Ton has a patented design which combines a bottle jack and a jack stand in a single unit. It even has a safety bar which locks the tool at the height you need. This is a portable tire jack which can lift and hold different types of vehicles safely. It has superior durability and a wide base made of steel for added stability. The Alltrade 640912 Black 3 Ton includes all that you need for your heavy lifting applications. This makes it perfect for car owners and for use in car shops. It has a lifting capacity of up to 3-tons giving it superior versatility. 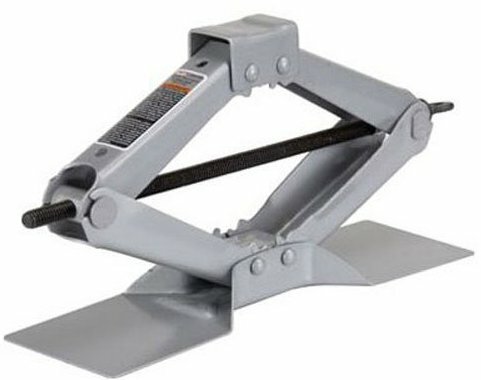 Use this tire jack for construction jobs, off-road vehicles, floor joist work, and framing too. The design of this tire jack allows it to lift then hold vehicles safely. It has a lift point as low as 8 5/8-inches and you won’t even need a jack stand to use it. The Alltrade 640912 Black 3 Ton is a jack stand and a bottle jack in one! You can use this tool for different types of vehicles such as CUVs, small-sized SUVs, and body-on-frame sedans. The superior performance and the versatility of this tire jack make it one of the best units on the market. It’s designed for different applications, even for the most demanding jobs. The Alltrade 640912 exceeds the standards set by ANSI, so you don’t have to worry about how well it functions. One of the standout safety features of the Alltrade 640912 Black 3 Ton is the safety lock. This feature locks the tool’s bar in place at the height you desire. This prevents the tire jack from slipping off while it’s lifting your vehicle. It also has a wide base made of steel which provides additional stability. The patented design combines a bottle jack and a jack stand in a single unit. The safety bar locks the unit at the desired height. It has a wide base made of steel which offers more stability. A versatile tire jack which you can use for different vehicles and jobs. Some units tend to leak oil out. Why we like it: This scissor-type tire jack is of compact steel. You can use it as a rugged extra or replacement utility jack. The Torin Big Red Steel Scissor Jack has a lifting range up to 15 1/8-inches and a lifting capacity of 1 1/2-tons. It has an oversized base which provides maximum stability and support. The durability of this tool comes from its saddle and frame both of which are of heavy-duty steel. The Torin Big Red Steel Scissor Jack has a rugged construction and is of heavy-duty materials of the highest quality. You can use it as an extra utility jack or as a robust replacement jack. Because of its compact size, you can easily store this tool in the trunk of your car to use it in case of emergency. This tool has a lift range starting at 4 1/8-inches all the way up to 15 1/8-inches. It has an oversized base with a width of 4 1/2-inches providing your vehicle with superior stability and support. The base also allows for easier positioning while the folding handle allows for quicker response whenever you need it. This tool features a rugged construction of alloyed steel while its saddle and frame are also made of heavy-duty steel. The Torin Big Red Steel Scissor Jack is a reliable tool which has the added convenience of being user-friendly. It even comes with instructions and diagrams to assist you in using it safely. This tool made it on our list of the best tire jacks because it has some superior features. 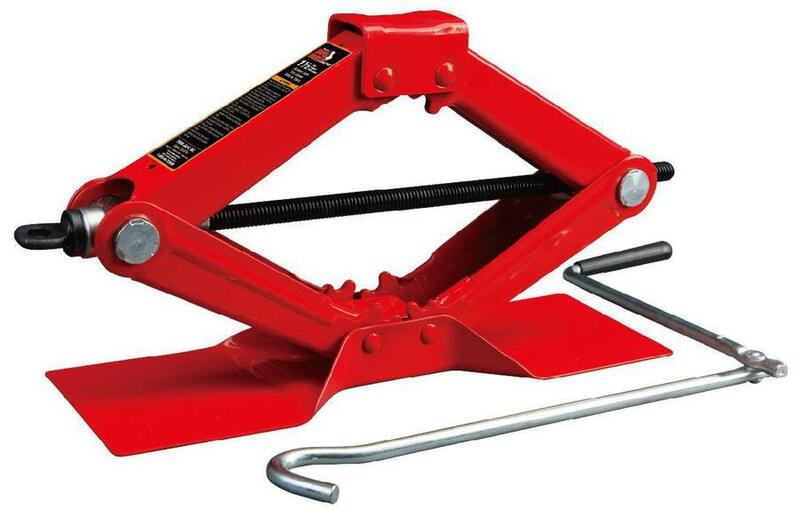 The Torin Big Red Steel Scissor Jack is of sturdy alloyed steel. Its rugged construction makes it a reliable and durable tool. It’s easy to use, and it delivers superior performance every time you use it. It even ensures longevity thanks to the protective coating which prevents the tool from rusting. Has a lift range of up to 15 1/8-inches and a lift capacity of 1 1/2-tons. The oversized base allows for maximum stability and support. It has a rugged construction from alloyed steel with a saddle and frame made of heavy-duty steel. Comes with a limited 1-year warranty from the manufacturer. Some issues with the screw threads. Why we like it: The Performance Tool W1627 Low Profile Service Jack has a loading capacity of up to 3.5-tons and a lifting range of up to 20 1/2-inches. It has superb features such as the dual pump and the swivel casters which make the tool easy to use. It also has a saddle pad made of rubber and a durable frame made of flanged steel. This is a heavy-duty tool that’s made of high-quality material. The Performance Tool W1627 Low Profile Service Jack has a low profile, and it can lift vehicles up to 3.5-tons in weight. If you’re looking for a tool with a lot of features, this is the one for you. It has a high-quality frame made of durable steel. The Performance Tool even has a bypass valve which protects it from overloading allowing you to use the jack confidently. The saddle swivels, and it has a rubber cushion to prevent damages. The rear wheels swivel too for easier positioning and maneuverability so you can work in narrow or confined spaces. The extra-long frame allows for maximum stability while the low profile allows you to use it underneath any type of vehicle. You can use the Performance Tool W1627 Low Profile Service Jack for different types of cars along with light trucks. It’s specifically designed for these types of vehicles as it can lift them easily so you can change your tires or do some work underneath. Its high-quality construction allows for maximum stability and support. One of the best safety features of this tire jack is its bypass valve. This prevents overloading which means that you can use it safely without worrying about your vehicle crashing down on you as you’re working. The Performance Tool W1627 Low Profile Service Jack allows for easy and accurate positioning. With this tool, you can raise your car in the most efficient and safest possible way. Has a load capacity of up to 7,000 lbs and a lift range of up to 20 1/2-inches. The saddle pad is of rubber, and the frame is of steel making it highly durable. Ideal for different types of cars and different types of light trucks. The bypass valve is a safety feature which protects the unit from overloading. It might break after some time. Why we like it: One look at this tire jack, and you’ll realize that it’s a simple, easy to use too. The Pro-LifT T-9456 Grey Scissor Jack has a base that’s extra-wide in size for added stability and capacity. It has a lifting range up to 15 1/8 inches and a lifting capacity of 1 1/2-tons. It’s a reliable tool which exceeds the latest standards of PALD/ANSI. One of the best features of the Pro-LifT T-9456 Grey Scissor Jack is its compact design. Despite its superb efficiency, it’s small enough to carry around or store in your car to bring with you wherever you go. The lightweight tool is also easy to handle and position. But with its extra-wide base, it provides added stability as you use it to lift your vehicle. This tire jack is the perfect tool for emergency situations. It’s a scissor-style jack which works well with a jack adaptor if you need to change your car’s tire. The Pro-LifT T-9456 Grey Scissor Jack is also easy to use when you’re working on brakes. The user-friendly feature and the stability it provides makes it one of the best tire jacks on the market now. Simple as it is, the Pro-LifT T-9456 Grey Scissor Jack is a heavy-duty tool with a lifting range up to 15 1/8-inches. Its base provides superior stability allowing you to work with different types of vehicles such as cars or trucks. Since it can handle up to 1 1/2-tons, you can even use the jack for a full-sized pickup. The maximum height of this tool is 14 1/2-inches, and it has a superb weight capacity. The superior construction of this tire jack makes it sturdy, reliable, and durable. It’s made of heavy steel, and it’s suitable for various lifting needs. All of the features make this model suitable for car owners and professionals alike. The tire hack also includes a handle which makes it easier to use. An imported product that’s simple and easy to use. The base is extra wide for added stability and capacity. The lifting range is up to 15 1/8-inches. This scissor tire jack has a lift capacity of 3,000 lbs. The metal handle isn’t very sturdy. Why we like it: This tire jack has a lifting capacity of up to 4.5-tons and a lifting range up to 20.2-inches. 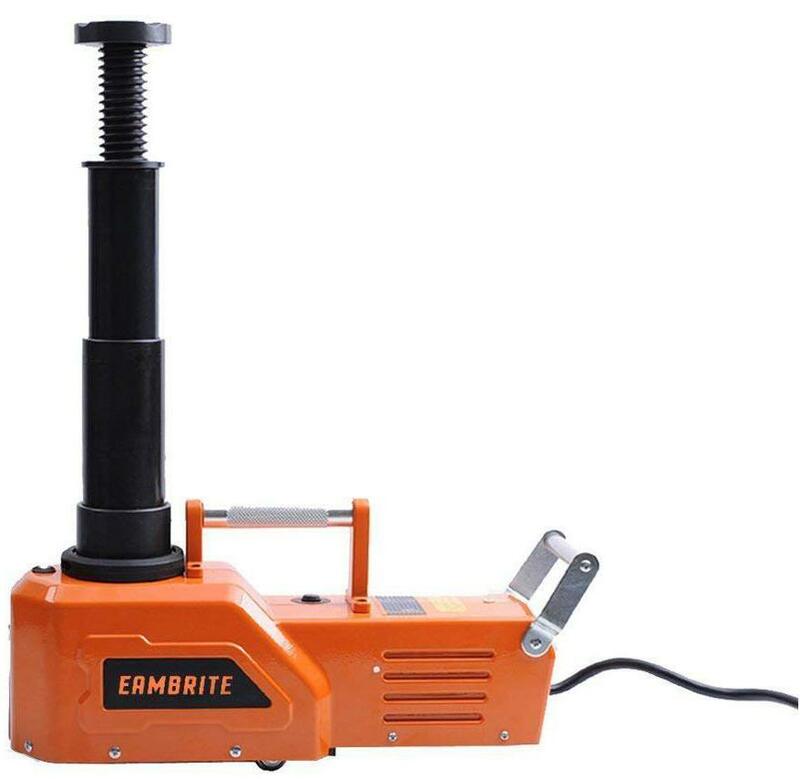 The EAMBRITE 12V DC Hydraulic Floor Jack works with 12V power outlets on standard vehicles. It has an integrated safety valve which provides protection even when it’s out of power. It also allows for easier positioning thanks to the LED light on the front. The EAMBRITE 12V DC Hydraulic Floor Jack has a loading capacity of 4.5-tons which is a lot more impressive compared to other models. It has a good lifting point too. This tool includes an instruction manual so you can use it properly right out of the box. The tire jack also has a connecting cable for the battery clamp that’s as durable as the jack itself. This final tool on our list is another extremely durable model. It has ratcheting heads and it makes use of 12V/24V DC voltage. The EAMBRITE 12V DC Hydraulic Floor Jack is of coated steel which makes it resistant to corrosion. You can adjust the tool’s threaded rod. The tire jack comes with a LED light on the front, a fuse, and a saddle with a cross-groove design. This jack isn’t just easy to use, but it’s safe too. It provides superior performance and it has some handy safety features. The EAMBRITE 12V DC Hydraulic Floor Jack prevents slipping, and its high-quality construction provides overall protection to the tool. It even has a spanner with 6 angles a 30-Amp fuse, and an integrated safety valve. It works well with any type of power outlets with 12-volts on vehicles. The threaded rod of the tool can be completely adjusted to spin up to 3-inches. This places the saddle closer to the point of lifting. The ratcheting heads also prevent the tool from slipping off the vehicle. Has a lifting capacity of up to 4.5-tons and a lift range of up to 20.2-inches. Works with any 12V power outlets on different types of vehicles. The built-in valve provides protection and safety in different occasions. Has a LED light positioned at the front for easier positioning. It might stark leaking oil after some use. These above 10 are the best tire jacks available on the market now. You can choose any one of these models and start using it each time you have to change your car’s tires. But before making a final choice, consider these important factors. 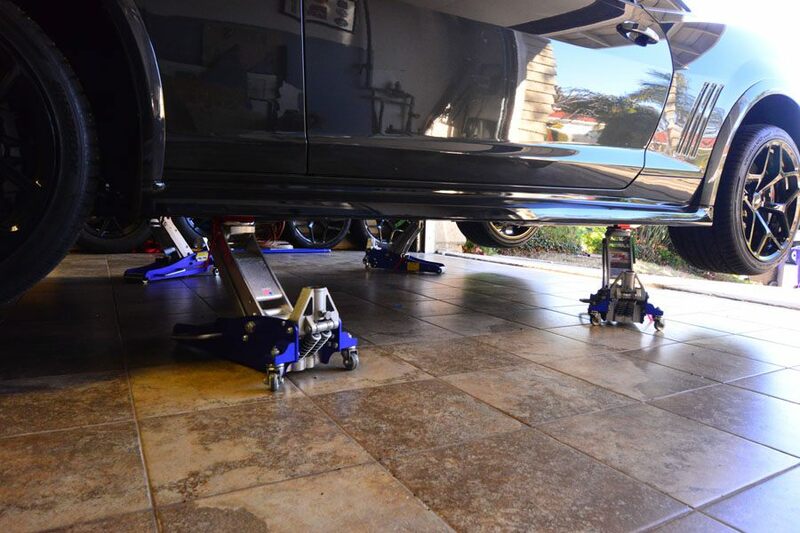 Floor jacks are the most common types used by car owners and auto shop owners. This type of jack can lift a vehicle for different purposes such as doing repairs or changing tires. It also has good compatibility as you can use it for different vehicles. Scissor jacks are more portable. You can use them for minor repairs and for tire changing. Some people call this type crocodile jack because it has a claw-like shape. This tool is perfect for emergency flat-tire changes. Hydraulic bottle jacks have good portability too. However, they’re more suitable for heavier vehicles because they run on hydraulic power. Hi-lift jacks are perfect for off-road vehicles. 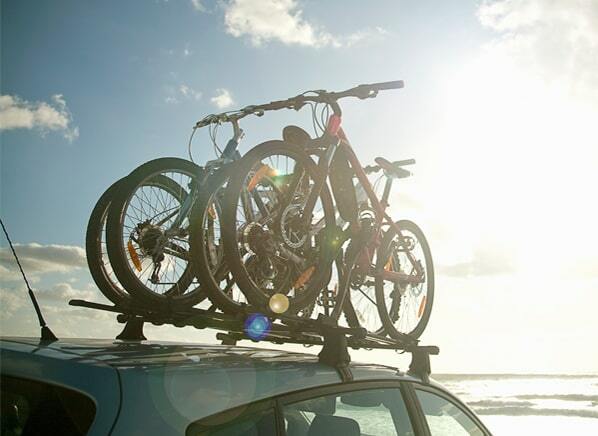 They have a higher lifting capacity making them ideal for bigger vehicles too. This is a special type of jack which has unique features. This is one of the most important factors to consider when choosing tire jacks. The lift capacity refers to the maximum weight the tire jack can lift. Of course, you should select a unit which can handle the weight of your car. It’s even better if the jack can lift heavier vehicles, so there’s no risk of overloading the tool. Just like the lift capacity, different tire jack models have varying lift ranges which they can lift your vehicle up to. If you have a tall vehicle or a large one, make sure to get a tire jack which can cope with the height required to safely raise it. Most tire jacks need about 8 to 10 strokes of the handle to reach the desired height. But if you want a faster lift speed where you only have to use 3 to 6 strokes, then choose a model with dual lifting positions. Also, you may opt for a tire jack which has a quick-lift system as one of its features. Although all tire jacks have bases, only some of them have wide ones. This is an important feature to look out for because a wide base improves the tool’s stability. A tire jack with a wide base has a lesser likelihood of tipping over or lowering into the ground while you’re using it. Most tire jacks come with some sort of handle. You can even use some models along with a crowbar or a tire iron. Such versatility is very handy, especially if you damage or lose the existing handle of the jack. Finally, this is one of the important safety features to look out for. A position stop would prevent you from raising the tire jack above the maximum height. That way, you won’t have to worry about exceeding the capacity of the tool. Tire jacks may be very simple, but they’re extremely useful tools in emergency situations. Fortunately, we’ve shared a wealth of information with you about these tools along with some of the best tire jacks for you to choose from. This will make it easier for you to find the perfect unit to suit your needs. After you’ve made your choice, you should also know how to use the tire jack. These tools are easy to use but if you’ve opted for one of the more complex models, read the instruction manual first so that you know how to use the unit correctly. Now that you’re armed with a great tire jack, changing your tires will become a lot easier!